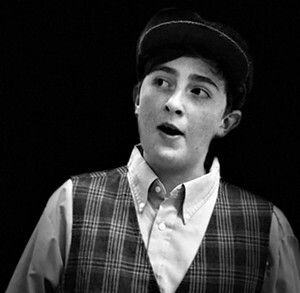 'Newsies the musical' | South Burlington High School | Live Performances, Theater | Kids VT - small people, big ideas! When: Fri., May 10, 7 p.m. and Sat., May 11, 2 & 7 p.m. This Tuttle Middle School production features a talented cast and professional pit musicians, and stars 13-year old Ronnie Farrell as Jack Kelly, the charismatic newsboy who leads his band of teenage 'newsies' in a strike.